A Thought: Making Your Story. When we designed the house, with the help of architect Dave Sadler, we planned for our future, thinking the girls would settle in LR. But they planted themselves in Fayetteville instead. We built the house with a mother-in-law suite, but Mom didn’t live to enjoy it, but Tony’s mother stayed in it many Christmases. I refinished an antique mantel (from a house being torn down–Don Puckett helped us get it here!) for our bedroom. One Christmas, Tony gave me the expensive fountain with night lights as a gift. We did lots of little things to make this house “ours.” Today we say ‘good bye’ and move a little closer to the rest of the family, while still being close enough for Tony to be at the law firm, as well as, be more available to his central Arkansas clients and Bar Association work. 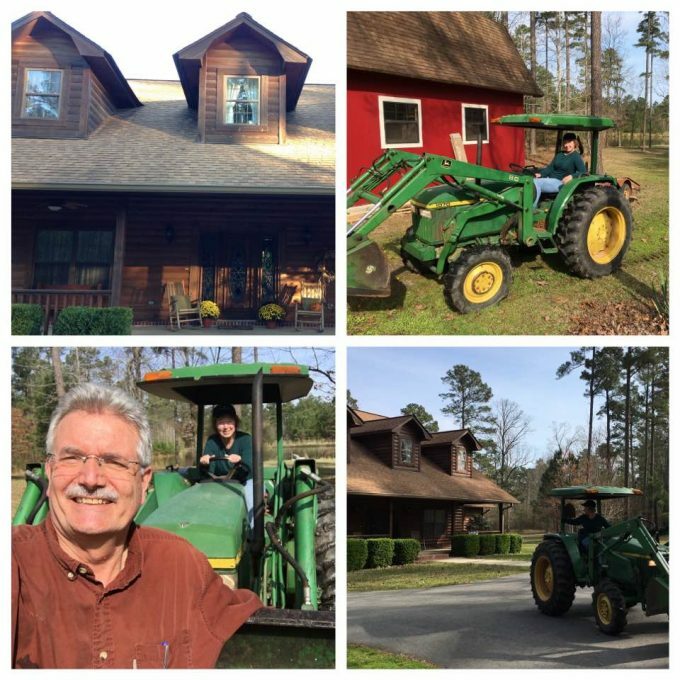 When we moved here, I had never driven a ‘stick.’ The smart man Tony is, knew to teach me to do that would come in handy for me to bush hog the place, which I’ve done all these years. So, “good bye” 6201 Country Lane! You were a LOT OF WORK, but gave us some good times, too.